Joshua Ashley Klayman is one of the best known Blockchain and Cryptocurrency lawyers in the world. Recognized by Chambers and Partnersas one of the top 12 Blockchain and Cryptocurrency lawyers globally, Ms. Klayman co-founded and has led since its inception MoFo’s global Blockchain + Smart Contracts Group, which she currently Co-Chairs and which includes over 70 lawyers. Ms. Klayman is the Chair of the prominent Wall Street Blockchain Alliance Legal Working Group and is a member of the global Wharton RegTech think tank. In addition, she has been appointed by the Delaware Secretary of State to serve on Delaware’s Blockchain Strategy Committee, founded the Blockchain Legislation Project and frequently speaks with regulators from around the world regarding Blockchain, Smart Contracts and Cryptocurrency matters. Ms. Klayman works collaboratively with Blockchain leaders from other law firms, clients and the broader community to advance the industry, anticipate and address regulatory concerns and seize strategic opportunities. According to Chambers and Partners’ inaugural Professional Advisers: FinTech (2018), Ms. Klayman is “[…. ]an up-and-coming star in the blockchain space. One highly regarded contemporary described her as being ‘very good – very thoughtful and with the appropriate talents. She deserves a lot of credit.’“ Additionally, Chambers and Partners’ “State of the ICO Market – A GC’s View,” by Emma Channing, CEO & General Counsel of the Satis Group (formerly CEO and General Counsel of the Argon Group) described Ms. Klayman as being “highly talented.” Ms. Klayman was named to Super Lawyers’ New York Metro Area “Rising Star” and “Top Women Attorneys” list(s) in 2015, 2016 and 2017, in the areas of Securities & Corporate Finance, Banking, and Business/Corporate Law. Ms. Klayman is a recognized thought leader in the Blockchain space and frequently writes and speaks about Blockchain, Smart Contracts and Cryptocurrencies. She has discussed Blockchain, Smart Contracts and Cryptocurrency on television, including on Bloomberg TV and Today’s Verdict with David Lesch, and has been featured in podcasts, including Forbes’ Unchained podcast, Law.com’s Unprecedented podcast, and The Third Web podcast. Ms. Klayman’s writings have been featured in several major publications, including Forbes, Coindesk and Crowfund Insider. She is quoted regularly in prominent news media, including CNNMoney, the Wall Street Journal, the Washington Post, CNBC, ABC News, the Japan Times, The Deal, Fortune, The Street, Reuters, S&P Global Market Intelligence, Associated Press, American Banker, Law360, Bank Innovation, the Korea IT Times and Global Capital, among others, for her expertise. Ms. Klayman co-authored the Cardozo Blockchain Project’s Report Not So Fast – Risks Related to the Use of a “SAFT” for Token Sales, and she has spoken at many industry leading events, including Consensus Invest, Blockchain at Berkeley’s ICO Financing 2017 Conference, Cardozo Law’s Tech Talk: Structuring Legally Compliant Token Sales, Techup for Women, Columbia University’s Beyond Blockchain – Emerging Markets for Decentralized Applications, Cornell University’s (and IC3’s) Inaugural Year Workshop: Blockchains, Blockchain Economic Forum and at Wharton. She is active in many industry groups, including the Enterprise Ethereum Alliance Legal Working Group, IC3, ISDA’s Smart Contracts Legal Working Group and the Accord Project. Ms. Klayman’s practice focuses primarily on the Blockchain, Smart Contracts and Cryptocurrency matters. She regularly represents token sellers, cryptocurrency exchanges and relayers, venture, hedge and private equity funds and their portfolio companies, token marketers and broker-dealers, funds interested in trading digital assets, major global investment banks, financial institutions and asset managers, and others in the space. She advises clients ranging from Fortune 500 and well known publicly traded organizations to emerging companies. 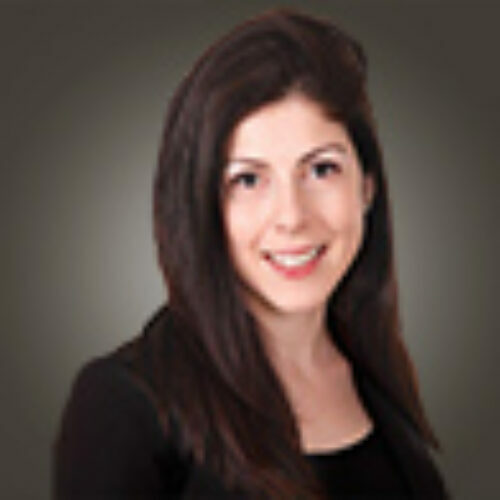 By background, Ms. Klayman is a finance and corporate attorney and spent well over a decade representing lenders and borrowers in leveraged finance transactions involving senior, mezzanine and subordinated debt and equity offerings and co-investments, as well as in general lending matters. In her corporate practice, Ms. Klayman represents public and private organizations in a broad array of commercial transactions (including mergers and acquisitions, as well as royalty purchase and licensing transactions) and corporate governance matters. Ms. Klayman is passionate about the advancement and promotion of women, particularly in the legal and technology fields, and is the mother of five children. At MoFo, Ms. Klayman is a member of the firm-wide Women’s Strategy Committee, as well as Co-Chair of the New York Women’s Affinity Group. In addition, she is active in MoFo’s diversity recruiting efforts and is the founder and serves as the senior advisor for MoFo’s Pro Bono name change practice assisting low-incomed transgender men and women. Ms. Klayman is a member of the Steering Committee for the New York City Opera and supports non-profit organizations that benefit children and the arts. She also has been named to the “Roll of Honor” for exemplary pro bono service by the First Judicial District (Philadelphia, PA).